Zach Mahone | Special to the Daily Vail Town Council member Kevin Foley, left, presented the third Vail Trailblazer award to Pepi and Sheika Gramshammer at the town’s annual meeting Tuesday, March 13, at Donovan Pavilion. 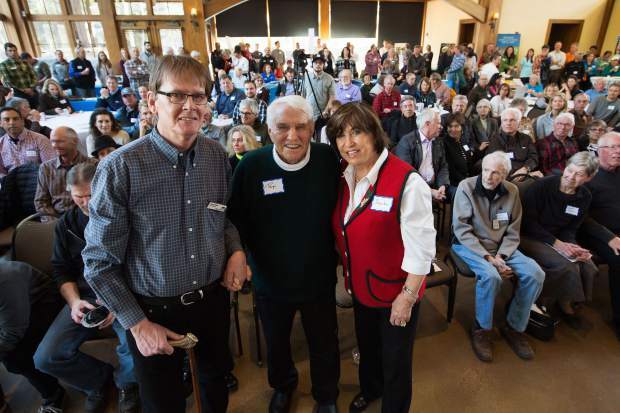 To honor the more than 50 years Pepi and Sheika Gramshammer have been among Vail’s biggest boosters, the town of Vail honored the couple with its third Vail Trailblazer award at the town’s annual meeting, held Tuesday, March 13, at the town’s Donovan Pavilion. The presentation was led by Vail Town Council members Kevin Foley and Kim Langmaid, both of whom have long known the couple. Receiving the award, Sheika thanked the town for the life she and her family have built. After the presentation, it was time to get down to a review of the town’s past 12 months. Addressing a nearly full house, Mayor Dave Chapin said the town’s revenue in 2017, while still strong, was roughly flat from 2016. Total revenue was $67.1 million, down almost 1 percent from 2016. There were smaller and larger revenue declines over the year, due in part to a dry spring in 2017 and a slow, dry start to the current ski season. On the other hand, Chapin noted that the town still has cash reserves of $42.7 million, and the town has been debt-free since 2012. Those reserves will grow by about $17 million this year, as new owners of the 32 deed-restricted townhomes in the Chamonix neighborhood close the deals for their new homes. Those sales will repay the roughly $17 million pulled from reserves to finance the project. The town also completed the Sandstone underpass in 2017. 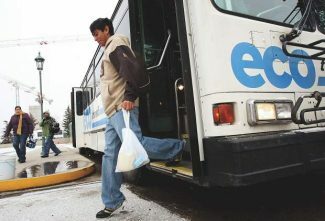 The town put roughly $9 million into the $30 million project, with the rest paid for by the Colorado Department of Transportation. Chapin also talked about existing and coming events, as well as projects from other entities. Those projects include an $8.5 million renovation of Red Sandstone Elementary School. That project will include a new, 160-space parking structure on the site. The town is putting $9.2 million into the project, with Vail Resorts contributing $4.3 million and Eagle County Schools adding $1.5 million. Vail Resorts officials were also on hand at the meeting. Vail Mountain Vice President of Operations Greg Johnson said he’s proud of the on-mountain crew, particularly those who run the grooming equipment. Johnson noted that Vail has the largest fleet of Sno-Cats in North America. That fleet is busy, including grooming runs in the Back Bowls. Johnson also noted that Vail Mountain will improve its snowmaking capability over the next few seasons. Vail Mountain Senior Director of Resort Operations Jeff Babb said he’s been impressed with the cooperation between the town and resort company to make the Vail experience “seamless” for visitors. While town business was the focus of the evening, Chapin noted a few non-town projects, including the East Wing renovation of Vail Health Hospital and a complete renovation of the Ski & Snowboard Club Vail headquarters at the base of Golden Peak. Chapin’s address also included parking — and the likely charge for overnight parking in the summer — as well as various neighborhood projects. Chapin said he was particularly proud of work done on the Booth Creek Park renovation, which included bringing in neighborhood kids to help design the playground. Chapin added he was impressed by the way neighbors surrounding Stephens Park in Intermountain came together to help clean dog waste from the area. Resident Robin Burch was on the Booth Creek Park design team. After the presentations were done, Burch said she was impressed with the way the town and residents helped create a new look and feel for the park. 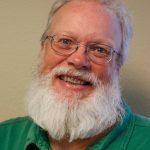 As he was leaving, East Vail resident Alan Danson said he was impressed with the presentation, particularly details of the town’s focus on environmental sustainability. “The town seems to be pulling together,” Danson said. While the room was full — as it usually is during the March town meetings — Avon resident Todd Jakubowski said he thought something was missing. Jakubowski, a food and beverage vendor who does a lot of business in Vail, said he wished more younger residents had attended. “There aren’t a lot of people younger than 40 here,” he said.